Want to look glamorous for an upcoming event? Then head over to Essensuals Hairdressing by Toni and Guy for a fabulous haircut or makeover. Whether you are looking for a classic chic look or something a little more daring, Essensuals can make it work for you. They provide a whole bunch of services, from haircuts to hair colouring & styling. Try a trendy asymmetrical bob maybe? Or how about colouring those long, luscious locks a nice deep red? If you’ve always wanted to go curly, they even do stylish perms. If you’re someone who is apprehensive about a new look and don’t want to part with your long mane, take baby steps. They can give you soft wispy bangs or a sharp, thick fringe. Go on. Take the plunge. And men, they even style your beards! Looking for a goatee, a short boxed beard or anchor beard? Or would you dare going for a brightly coloured beard? Experiment with your look and get help from the best! If you’re not looking for a new look you can treat yourself to a relaxing and rejuvenating hair spa. A nice scalp massage works wonders! If you’ve got a high-profile event to attend, or just want to look your best for a night out, Essensuals is well known for their stylish haircuts – you can even recreate some red carpet inspired looks. The stylists are up to date with the latest trends and know exactly what works for certain face types. You’re in safe hands here; give them a pair of scissors and a blow-dryer and see them work their magic! 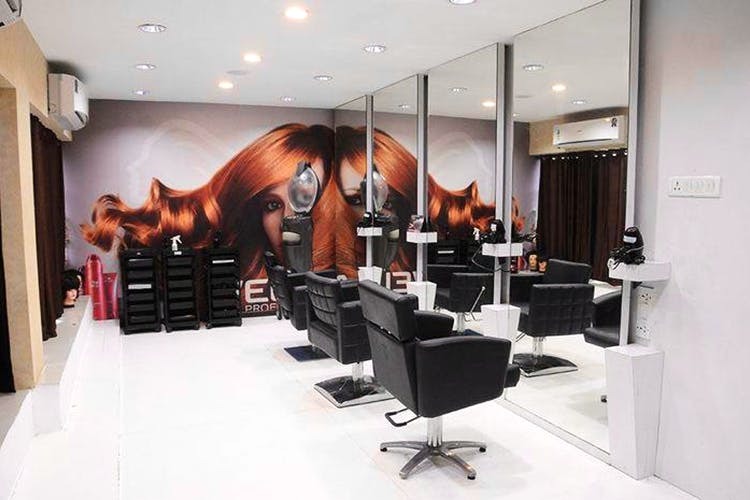 You can check out their salons in Kilpauk, Besant Nagar and Chintamani to name a few. They also have beauty treatments like manicures and pedicures too. So go on and pamper yourself with some much needed TLC by consulting these style ninjas.